BACK IN 1998, the iPod had yet to be invented, and the iPhone was still nine years off. PC users were getting to grips with the flashy new Windows 98 software, and the coolest phone around was the Nokia 5110, complete with antenna. How far we’ve come, eh? From smartphones to tablets to cloud computing, the tech industry moves quickly, and a few years might as well be a lifetime. Sentences like “oh, there’s an app for that” are used so often these days that they’re generally met with an eye roll – but go back a decade or so and they’d have made no sense whatsoever. Wi-Fi was first introduced exactly two decades ago, in the autumn of 1998, but you can bet nobody would have known what you were talking about if you started asking for codes or passwords back then. According to Phil Belanger, a founder of the original Wi-Fi Alliance, the word was intended to be a pun on “hi-fi”. UX (user experience) applies to everything from takeaway delivery to factory assembly lines, but in recent years it has become synonymous with web and app design. Like UI (user interface design) it refers to how people interact with a site or app. The easier something is to use, the better the UX. 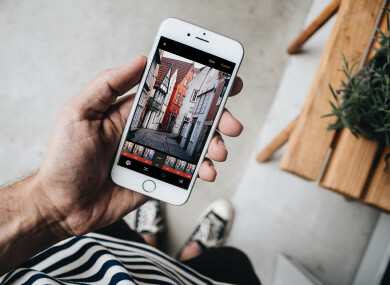 Whether you’re safely storing your selfies, editing a document with people on three different continents, or sharing a massive video file, you’ve no doubt accessed the cloud at some stage. Cloud computing began to grow in popularity about ten years ago, but the first mention appeared in a Compaq business plan in 1996. The coding language HTML was first introduced in 1993 and has gone through several different versions since then. The latest evolution, HTML5, has been a gamechanger for developers and users, allowing sites to handle animation, apps and more without the need for excess software. Think of the slickest, sleekest website you know, and it probably uses HTML5. You can now use smartphone apps to do everything from chasing Pokémon to seeing how a new kitchen table looks in your own home – all thanks to AR, or augmented reality. AR was first used by the US Air Force in the early 1990s… but most definitely not for choosing furniture. Before the podcast, came the iPod, first launched by Apple in 2001, with a scrolling wheel and enough storage for 1,000 songs. English journalist Ben Hammersley is credited with coining the word “podcast” in 2004 when padding out an article that was 20 words short. A year later, it was Oxford Dictionary’s Word Of The Year. Bitcoin, the digital currency, was initially released in 2009. Right now, one bitcoin equals a little over €5,500. Many bitcoin owners keep a low profile, but last year The Telegraph named twins Cameron and Tyler Winklevoss as the world’s first owners of a billion dollars worth of Bs. When Instagram first launched in 2010, it exclusively featured Polaroid-esque square photos. These days, it’s home to Instagram Stories, a messaging service and around €5.85bn worth of ad revenue. You can still look at beautifully filtered square photos, as long as you don’t mind wading through some targeted ads first. It might feel like you’ve always been able to use your smartphone to get directions, video call Australia or search for gig tickets on the go, but 3G technology was only commercially released in 2007, and 4G in 2010. Even then, it was a few years more before it became a mainstream feature of smartphone plans. There’s a bit to unpack in this sentence, which would have made absolutely no sense to someone back in 1998. The first contactless credit cards were released by Barclaycard in the UK in 2007, allowing shoppers to tap and pay. Apple Pay followed in 2014, and Google Pay a year later. The result? You can now tap using your credit card, debit card or phone almost anywhere you shop. That said, forgetting your wallet is still a nuisance. Kickstart your career and boost your tech skillset with a free Springboard+ course at Griffith College. Explore areas like industrial engineering, computing, music production for games and web development at Ireland’s largest independent college. Find out more about Griffith’s free Springboard+ courses right here. Email “10 tech phrases that would have made no sense two decades ago”. Feedback on “10 tech phrases that would have made no sense two decades ago”.